Today, I finally headed out to the BIG junkyard I mentioned in December looked around for some parts that I could use in my 510. 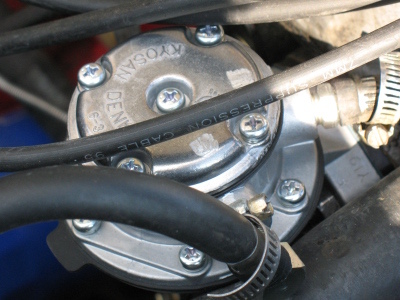 In particular, I wanted an L-series intake manifold (to adapt to a Z-series EFI intake), a fuel filler neck/cap assembly, a fuel guide valve (controls fuel-line vapors, among other things), and some misc. door bits. My wife suited up and came to the junkyard with me (awesome!) and we zeroed in on the Nissan/Datsun region of the junkyard. As large as the yard was, the section I needed wasn't really that large, and most of the cars were circa 1980 and later, which made them less useful me than I had hoped. Lots of Sentras, a couple of Z-cars, and one 1979 510. I had this false picture in my head of endless Datsuns or something, but it didn't end up playing out that way. 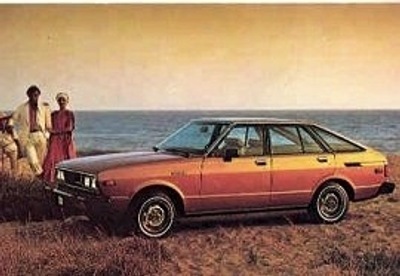 1979 Datsun 510. I don't like them. The 1979 Datsun 510 isn't really much like a "real" 510 at all, save that it came with an L-series engine and was rear-wheel drive. Apart from that, the similarities end. Because this one had the L20b motor, the intake manifold I needed was on the car, but after about 20 minutes of wrenching, I gave up on pulling the part. There were too many things in the way, and this particular intake had a lot of vacuum-related accessories that weren't really worth the trouble. In the meanwhile, my wife was backing screws out of the fuel filler tube I needed (awesome! ), and after pulling we pulled that part out, we figured we got what we needed. Because the previous owner shaved the sides of my 510, the filler neck is in the trunk in this photo. I'm not sure when I'll get around to cutting a new hole into the side of the car to install a proper filler access, so in the meanwhile, I'll just have to pop the trunk any time I want to put gas in the car. 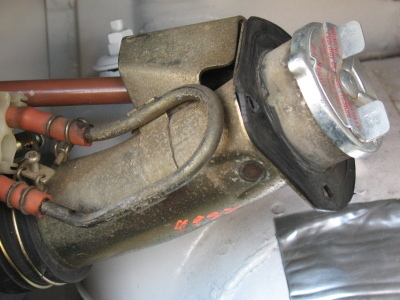 I didn't see a fuel guide valve; I think that the vapor system was probably changed over the years, and because I wasn't familiar enough with the 1979 system, I wasn't quite sure what to look for. I did, however, pull the charcoal canister which is a part of that system, but decided to leave it. If I'm going to use a charcoal canister to scrub the fuel vapors, I might as well get a new one. I also picked up a new fuel pump from Kragen for $29.99 (price-matched to Autozone's current price), since I'm now confident that I thrashed the one on the car when I failed to install the fuel pump spacer. And lastly, I tightened up the alternator, since one of the mounting bolts was rattling around. That was pretty cool, Kendra. We should do that more often. Never tried dating at the junkyard but I think it's fun. I like to see some old scraps that might be interesting to talk about.